Dr. Massery received her BS in Physical Therapy from Northwestern University in 1977, her DPT from the University of the Pacific in 2004, and her DSc from Rocky Mountain University in 2011. Her publications and interests focus on linking motor behaviors to breathing and/or postural mechanics in both pediatric and adult patient populations. Dr. Massery has been invited to give over 900 professional presentations in all 50 US states and 18 countries worldwide. Mary’s DSc research was conducted under the guidance of world renowned PT researcher, Dr. Paul Hodges, (Director of the NHMRC Centre for Clinical Research at the University of Queensland in Brisbane, Australia), as well as Dr. Victoria Moerchen (Director of the NHMRC Centre for Clinical Research at the University of Queensland in Brisbane, Australia), as well as Dr. Victoria Moerchen (University of Wisconsin, Milwaukee, WI), and Dr. Marshall Hagins (Emeritus Professor, Long Island University, NY, NY). The aim of Mary’s research was to establish a link between the glottis (upper airway) and postural stability (balance) and was published in the Journal of Applied Physiology. 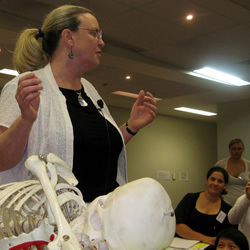 Clinically, Mary is known for her multi-system approach to analyzing motor dysfunction; recognizing the interactions between the cardiovascular-pulmonary, musculoskeletal, neuromuscular, integumentary and internal organ systems, and determining which system is the primary deterrent to optimal motor function and which system is likely a consequence of those interactions. This is the primary message of her continuing education presentations and patient consultations. 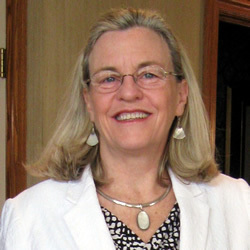 Dr. Massery has received the American Physical Therapy Association’s highest clinical award, The Florence Kendall Practice Award, honoring one’s “outstanding and enduring contributions to the practice of physical therapy” and the honorary Linda Crane Memorial Lecture as well as being honored as Outstanding Alumnus of the Year by each of her 3 universities. as well as more than 100 presentations for the American Physical Therapy Association across the USA. Mary sees patients on a limited basis at two Chicago suburban clinics. She encourages the patient’s primary therapists to attend the consultation to promote better carry-over at home.